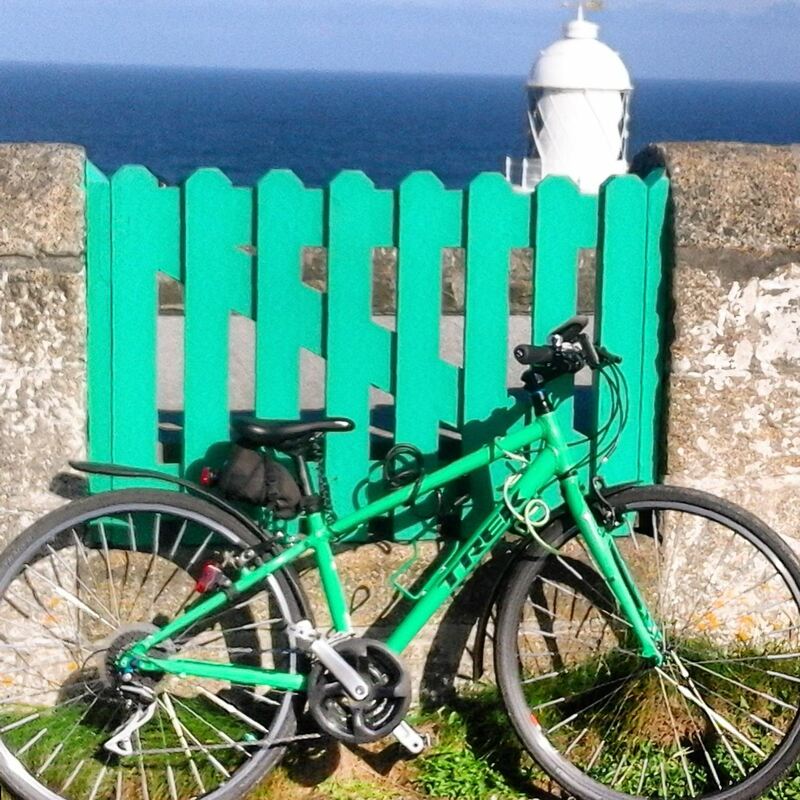 This ride is great for taking in the breath-taking views of the Penwith peninsula. I recommend it on a blue skies day so you can see the vastness of the sea from the road as you cycle along. It follows the B3306, a road that has often been described on many occasions as the most beautiful in England and is definitely one of the nicest cycling roads in Cornwall. Starting off at Pendeen car park, just opposite Costcutter (which has the added bonus of being free and has public toilets, a rarity in this day and age) you can pick up some supplies and then start your journey. Turn right from the carpark and start cycling towards the scenic vista of Gurnard’s Head. About half a mile down the road you will see a sign to Pendeen Lighthouse, the last shore station on the north coast of west Cornwall (also known as Pendeen Watch) which is a mile down from the B road. This is well worth a visit, to see the stunning views from the headland of the coastline towards St Just to the south and on a good day as far as Trevose Head to the north. But, be warned, the road is great to cycle down but a tough hill to pedal back up. Once back on the B3306 continue cycling along for about a mile, look out for a sign: Happy Pigs, “Chypraze Farm”. Take a left down towards the farm and you will come across one of the areas local secrets, Portheras Cove. Lock your bikes in the carpark and walk through the farm (beware the geese, which sometimes appear) down towards the cove. The beach is accessible over a wooden bridge and a bit of a scramble down some rocks, you can also admire the cove from the top of the coastal footpath . Continuing onwards and you come up to the little village of Morvah, the name is believed to be derived from the Cornish Morveth meaning ‘a place by the sea’. Cycle round it and take some time to look at the small church of St Briget of Sweden – the only one in the country to be dedicated to this saint. 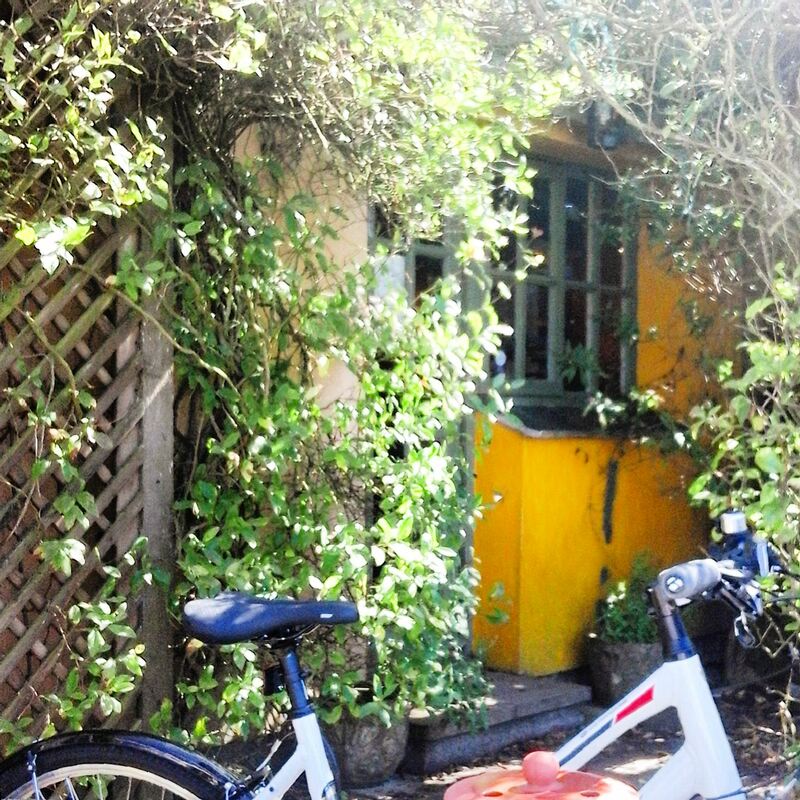 If you are by now ready for something to drink or eat, then Morvah Schoolhouse is a quaint place to have a cuppa. About 1.5 miles from Morvah you will go past Carn Galver Mine. The Count House has been converted into Bosigran Climbing Club and if you stop off here take a stroll down to the cliffs and you will see the remains of a tin mill, quite well preserved with a slot visible for a waterwheel at its western end. 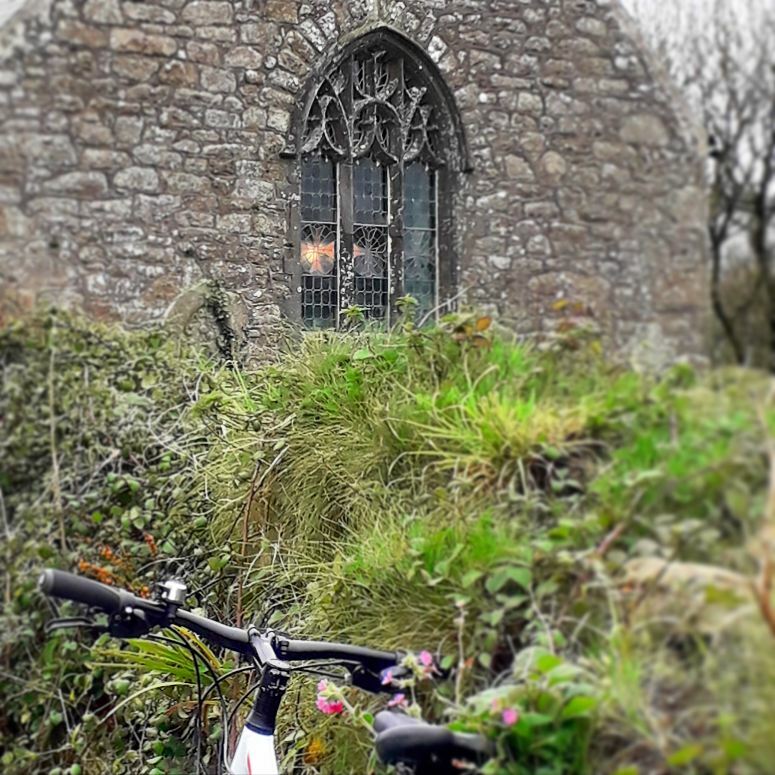 Cycling on past Bosigran and Porthmeor Farms, (don’t miss the Standing Stone in the cow field just past Porthmeor, one of the many relic stones that can be found in Cornwall), you will arrive at the Gurnard’s Head Hotel. 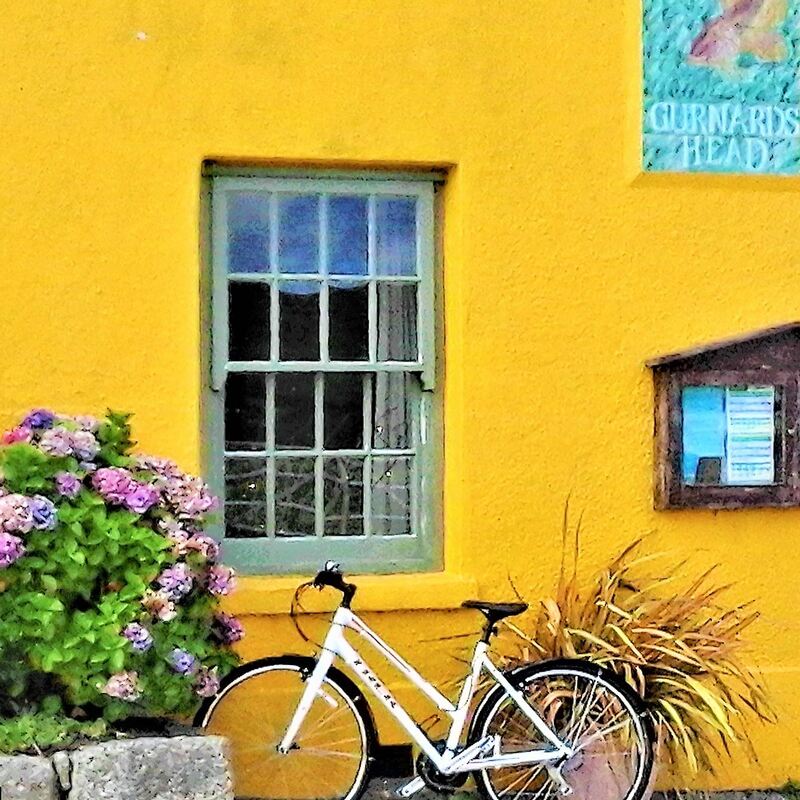 You cant miss this brightly painted yellow building. This is a must for good food and drink either by the cosy, warm fire inside or in the garden at the back looking out over to The Head itself. Unlike most rides where I would have a different road to return on, this road is worth the return trip. The B3306 and this stretch in particular has something magical about it. The views are so different in the other direction. Before you start your trip back to Pendeen you may want to drop down the lane to see the actual Head itself. Gurnard’s Head is a prominent headland on the north coast of the Penwith peninsula. The name is supposed to reflect the fact the rocky peninsula resembles the head of the gurnard fish! 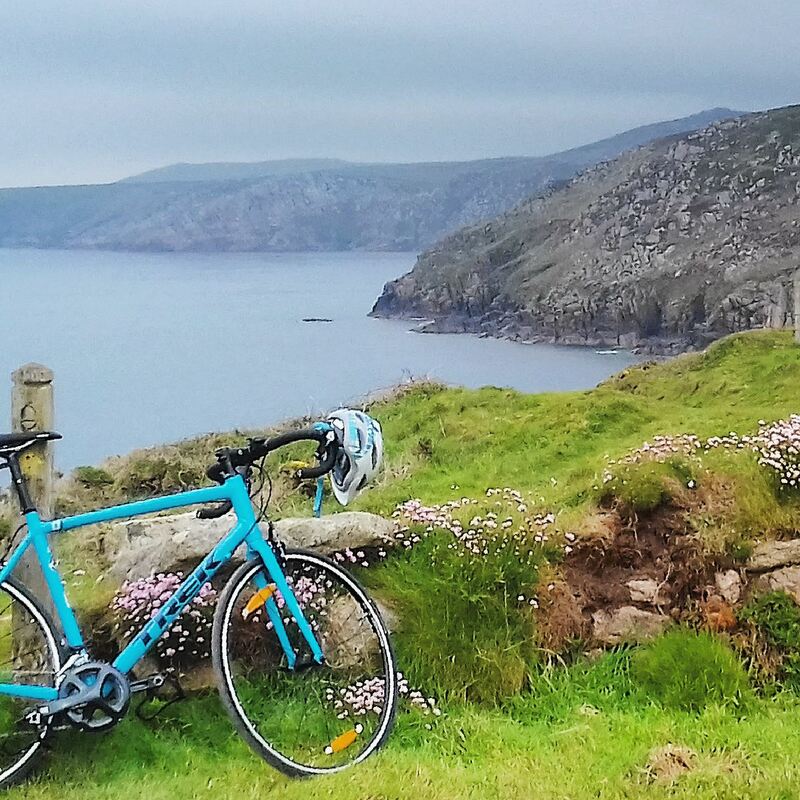 Cycling back to Pendeen on the coastal road, this section has all that is best on the Cornish coast; sea views, mining heritage and rugged cliffs which change colour throughout the seasons. Well worth the cycle ride any time of year.